WASHINGTON, DC, June 14, 2010 (ENS) – Senate Democrats sent a letter to BP CEO Tony Hayward today calling on the company to set aside $20 billion in a special account to be used to pay for economic damages and cleanup costs of the ongoing oil spill in the Gulf of Mexico. “The oil slick resulting from the spill stretches across 2,500 square miles and has damaged miles of environmentally sensitive beaches and marshes stretching across four states. Although this disaster continues to unfold, it is already very clear we are facing a catastrophe of historic proportions that will take decades to fully rectify,” the senators state. “While we are pleased that BP has admitted liability for these damages and vowed to provide full remuneration for economic losses and clean-up costs, history has taught us that corporations often fail to live up to their initial promises,” the senators write, reminding BP of fellow oil company ExxonMobile’s avoidance of the costs of the Exxon Valdez spill. “After the Exxon Valdez tanker spilled more than 11 million gallons of oil into Alaska’s Prince William Sound, damages totaled more than $7 billion; although Exxon continued making massive profits after the accident, it fought liability at every step and ultimately paid far less than the billions of dollars worth of damages it had caused many, many years later,” the letter says. Congress is now gathering information and holding hearings to develop legislation to address the Deepwater Horizon disaster. 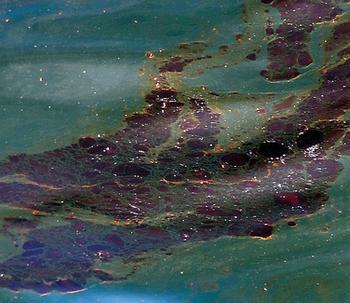 In both the Senate and the House legislation has been introduced to raise the cap on liability for oil spills from $75 million to $10 billion. The liability could be made retroactive, ensuring that BP is on the hook for the economic damages resulting from the Gulf Coast spill. In view of the “urgency of the matter, the senators requested a response to this letter no later than Friday, June 18. The letter comes as President Barack Obama is on his way to the Gulf Coast, his fourth trip to the area since the Deepwater Horizon oil rig exploded April 20 and sank two days later, leaving the broken wellhead to gush thousands of barrels of oil into the water every day. A federal oil flow rate task force estimated June 10 that 20,000 to 40,000 barrels of oil per day was flowing from the damaged wellhead before the riser pipe was cut to install the containment cap now capturing some of the leaking oil. The highest estimate amounts to over two million barrels of oil that have leaked into the Gulf of Mexico, a much higher figure than BP and the government had previously estimated. The earliest estimates were 1,000 barrels per day. Then, for weeks, BP and the Coast Guard gave a figure of 5,000 barrels per day. The first flow rate task force estimate May 27 was between 12,000 and 25,000 barrels per day. The President plans to visit Gulfport, Mississippi; Theodore, Alabama; and Pensacola, Florida, to survey the response efforts, visit with gulf residents impacted by the spill, and meet with area officials. The President will make a statement in Theodore and hold an event with military personnel in Pensacola. 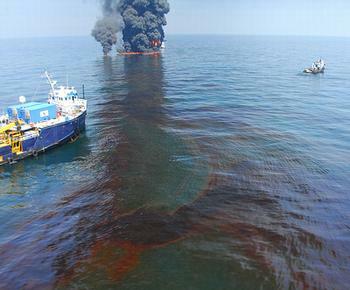 Back in Washington on Tuesday, the President will address the nation regarding the oil spill. On Wednesday he has scheduled a meeting with BP executives. President Obama has urged BP to set aside a sufficient amount of money to cover all costs, but has not yet named a figure that would satisfy him. BP America Vice President of Resources Darryl Willis said on June 5 that the company will pay all claims that are “reasonable and necessary.” Other BP officials have repeatedly said the company would pay all “legitimate” claims. These terms create big loopholes that the company can use in future litigation to avoid payments for cleanup and claims, U.S. Senators Patty Murray of Washington and Robert Menendez of New Jersey told reporters today. BP said today that its cost to date amounts to $1.6 billion, including the cost of the spill response, containment, relief well drilling, grants to the Gulf states, claims paid, and federal costs. This includes new grants of $25 million each to the states of Florida, Alabama and Mississippi and the first $60 million in funds for the Louisiana barrier islands construction project. On June 10, BP announced it grants of $25 million to each of the states of Alabama, Florida, and Mississippi to continue implementation of their area contingency plans. This $25 million grant is in addition to a previous $25 million block grant that BP announced on May 5 to help accelerate the implementation of the contingency plans, and a $15 million tourism grant announced on May 17. “Working in partnership with the state is important to an effective spill response. So we are pleased to make these additional funds available per the governor’s request,” said BP’s Chief Operating Officer Doug Suttles. 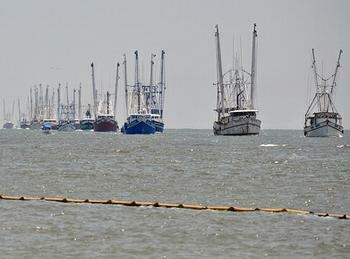 BP reported Saturday that 49,254 claims have been opened, from which more than $60.2 million have been disbursed. “No claims have been denied to date,” the company says. There are 577 claims adjusters on the ground. Since June 3, BP has been capturing some oil and gas at the source of the leak using its containment dome technique, which is being executed under the federal government’s direction. On June 12, a total of about 15,000 barrels of oil were collected and 32.9 million cubic feet of natural gas were flared. The total volume of oil collected by the LMRP cap system since it began operation is approximately 127,000 barrels. A further approximately 22,000 barrels of oil previously had been collected through use of the Riser Insertion Tube Tool and stored in the Discoverer Enterprise. Last week, some 115,000 barrels of collected oil were transferred from storage on the Discoverer Enterprise to a barge, which is enroute to a terminal in Mobile, Alabama, where the oil will be moved to a refinery. 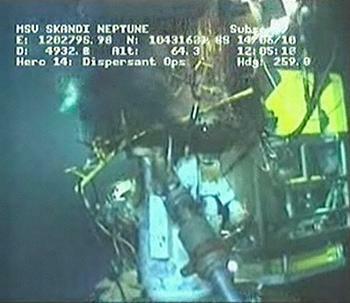 Under the direction of National Incident Commander U.S. Coast Guard Admiral Thad Allen, BP engineers continue to refine plans for two more collection systems that will use connections on the blowout preventer capture more of the leaking oil in the near term. Gas and oil flow will be collected on the drill ships Q4000 and Clear Leader. Larger, heavier vessels that can maintain their position and continue to collect oil in the event of a hurricane are en route to the site of the leak – one coming from the North Sea. Still, Admiral Allen has said that if a hurricane strikes, the containment system may have to be disconnected, which would again release large amounts of oil into the gulf. Plans to acquire equipment for long-term containment and disposal are being examined by the National Incident Command. Representatives from the U.S. Coast Guard, BP, U.S. Fish and Wildlife Service, the Environmental Protection Agency and other state and partner agencies responding to the Deepwater Horizon oil spill are scheduled to host three open houses Tuesday, Wednesday and Thursday in various locations. The open houses will give residents the opportunity to engage one-on-one with experts about the techniques, strategies and materials being used in the spill response. The open houses will feature experts and representatives from responding agencies who will answer questions and provide visual information on the tools, equipment and strategies that are being used in the response, including booms, burns, sand berms, skimming and dispersants. Agencies representatives will be available to address concerns about environmental quality, wildlife, safety and resources available to residents. Information will also be available on the Vessels of Opportunity Program, Supplemental Nutrition Assistance Program and volunteer and employment efforts. Claims representatives will be available for questions or concerns residents might have on the claims process.